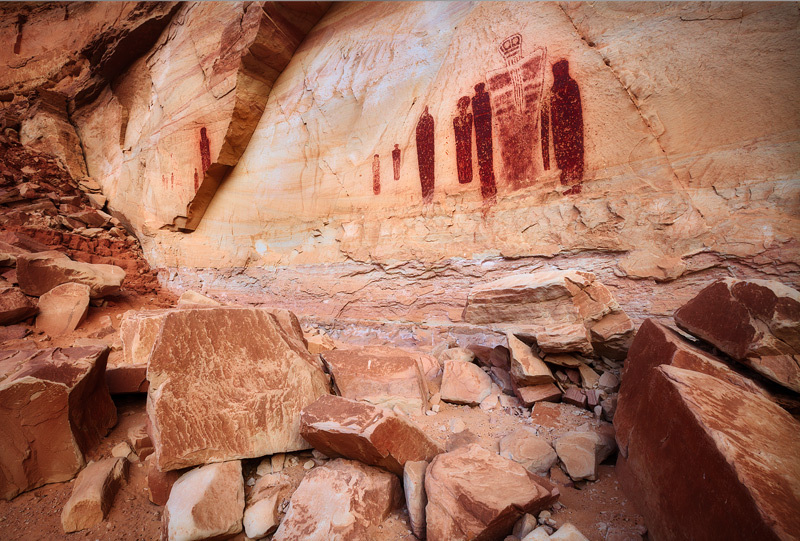 Ancient celestial figures decorate a hidden rock alcove deep in Horseshoe Canyon. These pictographs are estimated to be over 3,000 years old and are considered to be the oldest and most well preserved in all of North America. Photo © copyright by Michael Greene.